This week The Telegraph newspaper in association with WHSmith newsagents is offering readers the novel The Girl Who Saved the King of Sweden by Jonas Jonasson, which has been newly released in Paperback for just £2.99 (instead of the RRP £8.99).between Thursday, April 24 and Wednesday, April 30, or by presenting one of the printed vouchers published in the paper on Thursday, April 24 or Saturday, April 26. The offer is valid until Wednesday 30 April. The Girl Who Saved the King of Sweden is a delightfully wry and witty novel from Jonas Jonasson who also wrote the bestselling debut ‘The Hundred-Year-Old Man Who Climbed Out the Window and Disappeared’. It details how one young woman attempts to change her future end up changing everything. On 14th June 2007, the King of Sweden disappears. In 1994 South Africa dismantles six missiles, developed during its brief nuclear weapons programme. In 1961 Nombeko Mayeki is born in a Soweto shack. Seemingly destined for a nasty, brutish and short life, her path takes an entirely unpredictable turn, when it transpires that there is a seventh South African missile – which was never supposed to have existed, and Nombeko happens to know far too much about it for her own good and is forced to go on the run. Along the way she encounters some weird and wonderful characters including twins who are officially one person, a Vietnam vet and a potato-loving Baroness, and she discovers that the fate of the King of Sweden, and indeed the world, rests on her shoulders alone. Their next studio album Adrenalize reached number one on the U.S. Billboard 200 and UK Album Chart in 1992, and contained several hits including, “Let’s Get Rocked” and “Have You Ever Needed Someone So Bad”. Their 1993 album Retro Active contained the acoustic hit song “Two Steps Behind”, while their greatest hits album Vault released in 1995 featured track “When Love & Hate Collide. Sadly though Clarke passed away 8 January 1991 and was replaced by Vivian Campbell who has remained with Def Leppard ever since. 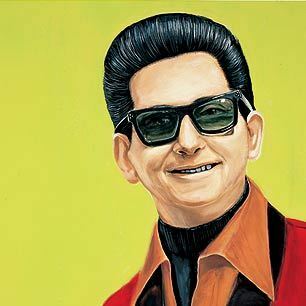 Known by the nickname ‘The Big O’ and remembered for his distinctive, powerful voice,the American singer, guitarist, and songwriter Roy Orbison was Born April 23, 1936, he grew up in Texas and began singing in a rockabilly/country and western band in high school until he was signed by Sun Records in Memphis. His greatest success came with Monument Records between 1960 and 1964, when 22 of his songs placed on the Billboard Top Forty, including “Only the Lonely”, “Crying”, and “Oh, Pretty Woman”. His career stagnated through the 1970s, but several covers of his songs and the use of “In Dreams” in David Lynch’s Blue Velvet revived his career in the 1980s. In 1988, he joined the supergroup Traveling Wilburys with George Harrison, Bob Dylan, Tom Petty, and Jeff Lynne and also released a new solo album. April 23rd is Saint George’s Day, and according to tradition, he was a Roman soldier from Syria Palaestina and a soldier in the Guard of Diocletian, who is venerated as a Christian martyr. In hagiography Saint George is one of the most venerated saints in the Catholic (Western and Eastern Rites), Anglican, Eastern Orthodox, and the Oriental Orthodox churches. He is immortalized in the tale of Saint George and the Dragon and is one of the Fourteen Holy Helpers. His memorial is celebrated on 23 April, and he is regarded as one of the most prominent military saints. 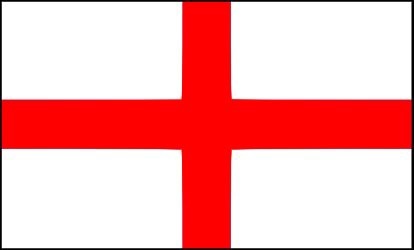 Many Patronages of Saint George exist around the world, including: Georgia, England, Egypt, Bulgaria, Aragon, Catalonia, Romania, Ethiopia, Greece, India, Iraq, Lithuania, Palestine, Portugal, Serbia, Ukraine and Russia, as well as the cities of Genoa, Amersfoort, Beirut, Fakiha, Bteghrine, Cáceres, Ferrara, Freiburg, Kumanovo, Ljubljana, Pomorie, Preston, Qormi, Rio de Janeiro, Lod, Lviv, Barcelona, Moscow, Tamworth and the Maltese island of Gozo, as well as of the Scout Movement and a wide range of professions, organizations and disease sufferers. It is likely that Saint George was born to a Christian noble family in Lod, Syria Palaestina during the late third century between about 275 AD and 285 AD, and he died in Nicomedia. His father, Gerontius, was a Roman army official from Cappadocia and his mother, Polychronia, was from Palestine. They were both Christians and from noble families of Anici, so the child was raised with Christian beliefs. They decided to call him Georgius (Latin) or Georgios (Greek), meaning “worker of the land”. At the age of 14, George lost his father; a few years later, George’s mother, Polychronia, died. Then George decided to go to Nicomedia, the imperial city of that time, and present himself to Emperor Diocletian to apply for a career as a soldier. Diocletian welcomed him with open arms, as he had known his father, Gerontius — one of his finest soldiers. By his late 20s, George was promoted to the rank of Tribunus and stationed as an imperial guard of the Emperor at Nicomedia. In the year AD 302, Diocletian (influenced by Galerius) issued an edict that every Christian soldier in the army should be arrested and every other soldier should offer a sacrifice to the Roman gods of the time. However George objected and with the courage of his faith approached the Emperor and ruler. Diocletian was upset, not wanting to lose his best tribune and the son of his best official, Gerontius. George loudly renounced the Emperor’s edict, and in front of his fellow soldiers and Tribunes he claimed himself to be a Christian and declared his worship of Jesus Christ. Diocletian attempted to convert George, even offering gifts of land, money and slaves if he made a sacrifice to the Roman gods. The Emperor made many offers, but George never accepted. In the fully developed Western version, which developed as part of the Golden Legend, a dragon or crocodile makes its nest at the spring that provides water for the city of “Silene” (perhaps modern Cyrene in Libya or the city of Lydda in the Holy Land, depending on the source). Consequently, the citizens have to dislodge the dragon from its nest for a time, to collect water. To do so, each day they offer the dragon at first a sheep, and if no sheep can be found, then a maiden must go instead of the sheep. The victim is chosen by drawing lots. One day, this happens to be the princess. The monarch begs for her life to be spared, but to no avail. She is offered to the dragon, but there appears Saint George on his travels. He faces the dragon, protects himself with the sign of the Cross, slays the dragon, and rescues the princess. The grateful citizens abandon their ancestral paganism and convert to Christianity. Often referred to England’s national poet, the “Bard of Avon”, and widely regarded as the world’s pre-eminent dramatist and greatest writer in the English language. The English poet and playwright William Shakespeare was believed to have been born 23 April1564 (based on his baptism 26 April 1564). His surviving works, including some collaborations, consist of about 38 plays, 154 sonnets, two long narrative poems, and several other poems. His plays have been translated into every major living language and are performed more often than those of any other playwright. He was born and brought up in Stratford-upon-Avon. At the age of 18, he married Anne Hathaway, although there is some speculation that he was also married to his childhood sweetheart Anne Whately, who may have been The Dark Lady referred to in the sonnets. He had three children with Hathaway: Susanna, and twins Hamnet and Judith. Between 1585 and 1592, he began a successful career in London as an actor, writer, and part owner of a playing company called the Lord Chamberlain’s Men, later known as the King’s Men. He appears to have retired to Stratford around 1613 at age 49, where he died three years later. Few records of Shakespeare’s private life survive, and there has been considerable speculation about such matters as his physical appearance, sexuality, religious beliefs, and whether the works attributed to him were written by others. Shakespeare produced most of his known work between 1589 and 1613. His early plays were mainly comedies and histories, genres he raised to the peak of sophistication and artistry by the end of the 16th century. He then wrote mainly tragedies until about 1608, including Hamlet, King Lear, Othello, and Macbeth, considered some of the finest works in the English language. In his last phase, he wrote tragicomedies, also known as romances, and collaborated with other playwrights. Many of his plays were published in editions of varying quality and accuracy during his lifetime. In 1623, two of his former theatrical colleagues published the First Folio, a collected edition of his dramatic works that included all but two of the plays now recognised as Shakespeare’s. Shakespeare was a respected poet and playwright in his own day, but his reputation did not rise to its present heights until the 19th century. The Romantics, in particular, acclaimed Shakespeare’s genius, and the Victorians worshipped Shakespeare with a reverence that George Bernard Shaw called “bardolatry”. In the 20th century, his work was repeatedly adopted and rediscovered by new movements in scholarship and performance. Sadly though Shakespeare passed away on 23rd April 1616 but he left behnd an endurng legacy and his books Sonnets & plays remain highly popular today and are constantly studied, performed, and reinterpreted in diverse cultural and political contexts throughout the world and remain as popular today as they’ve always been.